What do you imagine when you think of Maine? Well, whether you are from another region of America or abroad, there's a pretty good chance that Maine may be a bit of a mysterious blank slate to you. And you know what? That's OK, as there are a couple of big reasons for this. First, Maine's extreme north east location keeps it a wee bit isolated, and in fact, Maine borders more Canadian provinces (two) than U.S. States (one). Secondly, it has a relatively small population as it was ranked 41st in the most recent census, so odds are high that you haven't had the pleasure of meeting someone from Maine just yet. There is no better time than the present to get to know Maine. And once you do, you'll quickly see that anything Maine lacks in glamour or name recognition it more than makes up for with miles of pristine pine forests, rugged and rocky coastline, steaming seafood, colourful ports, and a culture like none other in the United States. When you do make it to this amazing state, here are the top 10 things to do in Maine that we recommend you do. You certainly don't have to just stick to these ten, though, not by a long shot. You see, being fiercely independent and making your own way is something that Mainers (the preferred name for residents of Maine) pride themselves on, and as a visitor, you'll probably end up adopting this mantra yourself and end up beating your own path. Acadia was a French settlement founded in the 1600's in parts of what is modern day Canada and Maine, and whose heritage still influences that of Maine today. Thousands of Mainers are descended from these French settlers and are fiercely proud of their unique heritage, which is best explored in the St. John Valley in the far north of Maine. In fact, many in this valley still learn French as a first or second language. Maine Tourism work with a number of locals (Insiders) providing holidaymakers with some excellent knowledge of their home state. For many, lobster is the main thing that comes to mind when they think about Maine, so we might as well talk about this delicious gift from the seas early on. Maine's history is intertwined with that of its coastal fishing fleets and seafood industry and along the way, the lobster became the symbol of all of this. 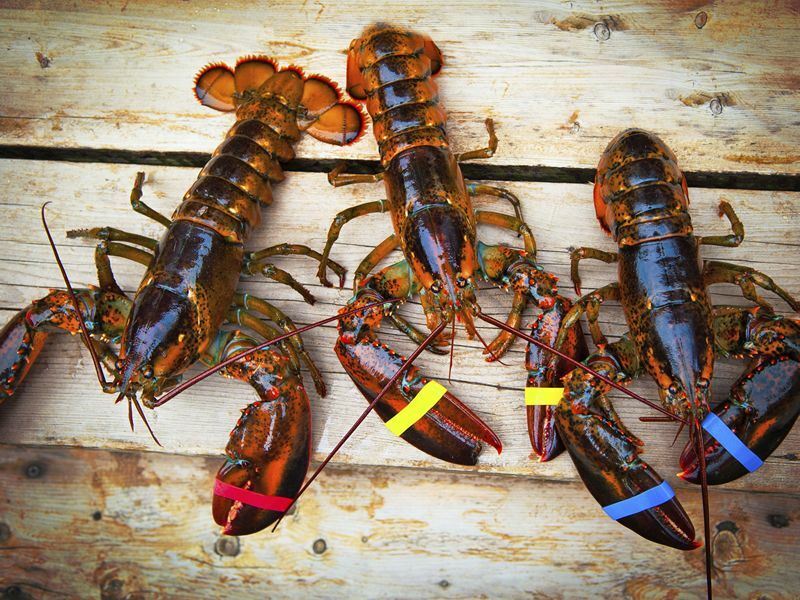 Maine lobster is easily considered the best in the United States, and you can feast on fresh lobster in different variations all over the state. Mainers are loyal to their favourite local lobster shacks, and I suggest you join them. These humble seaside shacks are famous for selling fresh lobster rolls, which are soft submarine sandwiches overflowing with cool lobster drenched in a creamy sauce. 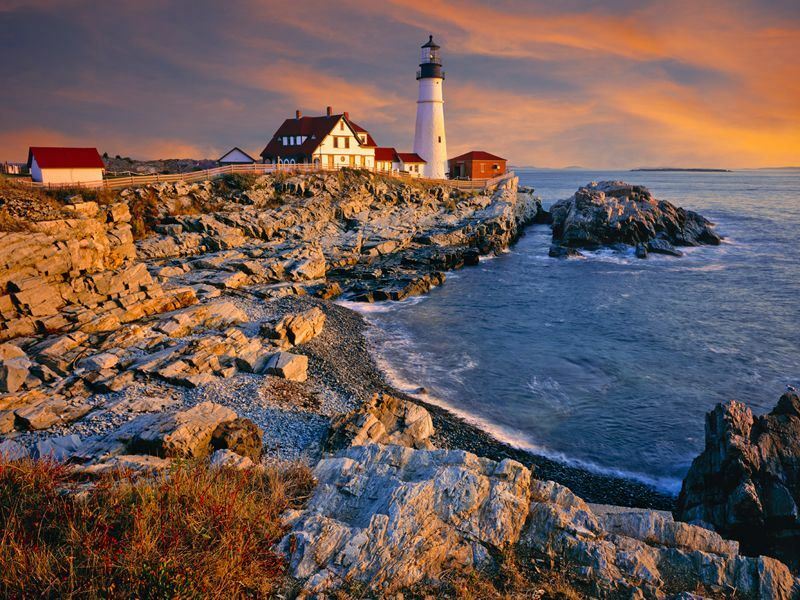 Maine is well-known for being home to a multitude of lighthouses, and travelling the coast admiring stoic lighthouse after lighthouse is a Maine must-do. Stretching from West Quoddy Head in the north to Cape Neddick in the south, these lighthouses have been beacons for ships in the night for centuries and many are still functional and also accessible for visits. What makes Maine's lighthouses so special are the dramatic rocky perches from which their signals shine, so get your camera ready. 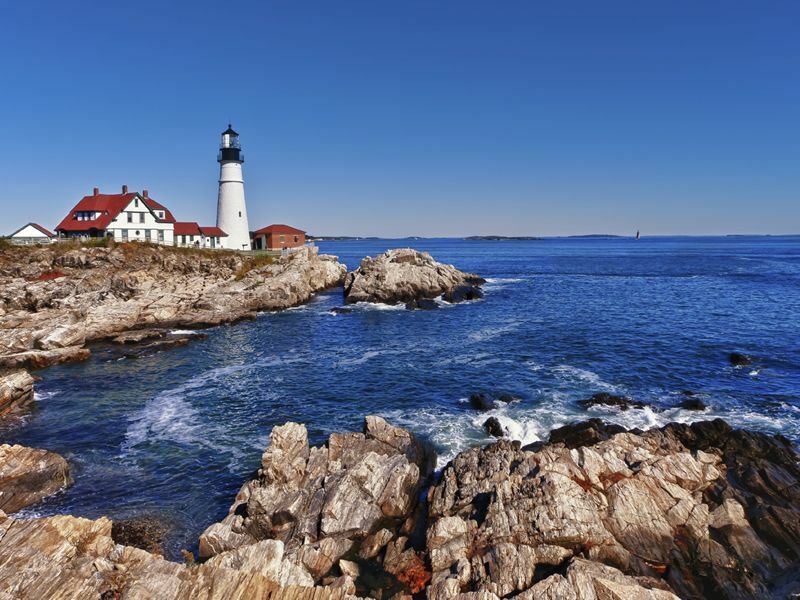 Located the furthest east of any American state, Maine is home to many sights that get to lay claim to being "the easternmost this" or "the easternmost that". Some are more impressive than others, and one that is the epitome of impressive is the easternmost point in the United States at West Quoddy Head, Maine. West Quoddy Head and its red-and-white candy-striped lighthouse is a must see. What makes this beautiful spot unique is that every morning this area is the first place in the United States to see the sunrise, and catching a sunrise in person is a truly special experience. The Maine Highlands are a rugged section of Maine's interior known for mountain peaks and logging industry feats, and the area is definitely worth a peek. 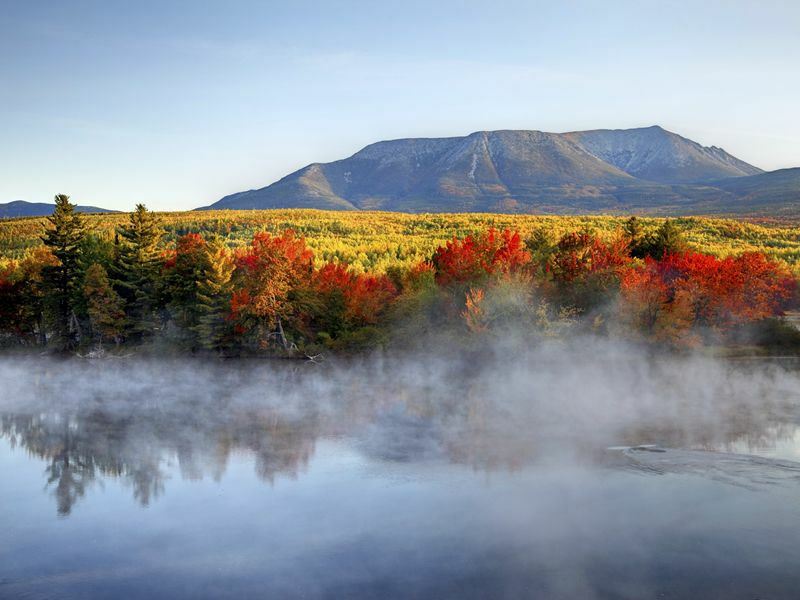 Mount Katahdin is the highest point in Maine, and a hike to its peak is a true thrill for visitors and Mainers alike. The town of Bangor is considered the de facto capital of The Highlands and its beloved statue of Paul Bunyan is its de facto mayor. The largest statue of Paul Bunyan in the world reminds visitors of Bangor's previous role as a major player in the logging industry, and is one of the best roadside attractions anywhere in America. In the southern section of Maine, there are miles upon miles of sandy beaches and lovely communities surrounding them. When the sun is out and the weather is warm, there is nowhere else in the state you want to be. Spending a day sailing, fishing or diving from a wooden dock in the shadow of a lighthouse on one of Maine's beaches is a summertime rite of passage for Mainers, and you would be wise to join them. 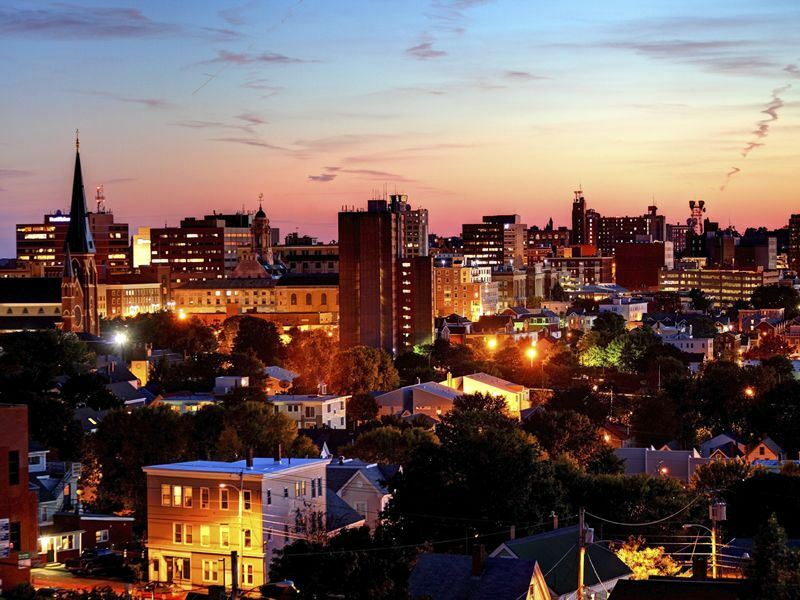 New England's best kept secret and Maine's biggest city, Portland is a seaside playground for dining, shopping and nightlife and is a great place to get your big city buzz before setting off to seek more solemn Maine experiences. 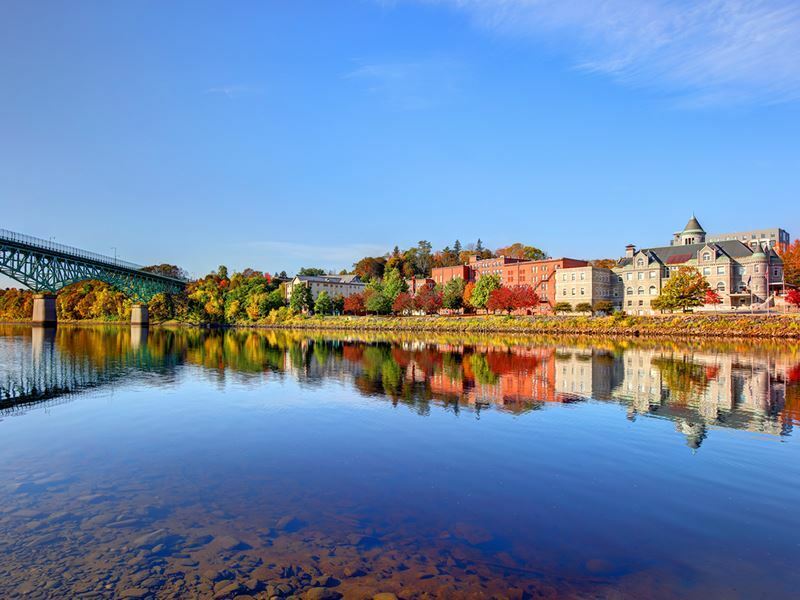 Odds are that Portland will be your first stop in Maine, and you'll quickly discover that the city and its busy port bustles with the best of them, but still manages to retain its quaint charm in the form of cobblestone streets lined with sizzling seafood restaurants, craft breweries, theatres and art galleries. For a more sombre, but nonetheless intriguing, experience, The Portland Freedom Trail is a fascinating delve into history. The self-guided tour stands as a monument to Portland's role on the Underground Railroad, which was a clandestine network of people and places that helped escaped slaves reach freedom in the Northern United States or Canada. People aren't the only ones who flock to Maine for seafood, as between April and October every year, whales arrive en-masse to feast in Maine's coastal waters. Seeing these graceful behemoths up close and personal from a whale watching cruise is a truly unforgettable experience. Whale watching cruises are common in Maine, and the chance of seeing whales during the season is so high that some tour operators have been known to guarantee you'll see a whale or you get your money back. 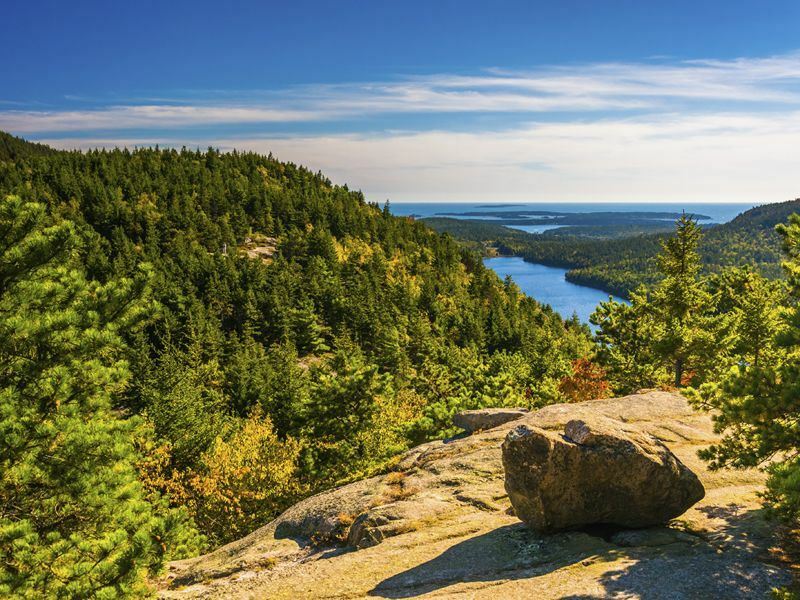 Acadia National Park is the one and only U.S. National Park in Maine, and as some have been known to say, a place to "see all of Maine in one day". Sprawling over the coast, Acadia National Park is home to a wide cross-section of Maine's landscapes, flora, fauna and more outdoor recreation opportunities than you can shake a walking stick at. Forests, rocky coastlines, mountains, moose, whales, fox and seals are the star natural attractions, while the park's historic Carriage Roads are the star man-made attraction. Constructed by the famous John D. Rockefeller, the Carriage Roads were intended for use by hikers, bikers and horse-drawn carriages exclusively. The Carriage Roads offer over 45 miles of peaceful space for recreation as motor vehicles are banned from the area and more than a dozen gorgeous granite stone bridges arch over the length of them. While Maine truly is an all-year-round destination with recreation ranging from snowshoeing and dog sledding in the winter to white-water rafting and fishing in spring and summer, seeing Maine in autumn is like nothing else. The trees of Maine put on a dazzling foliage display that run the gamut of colours from the most burnt orange to the brightest yellow. These leaves must be seen to be believed.